ADOPT - Help support and care for your favorite animals at the Zoo! 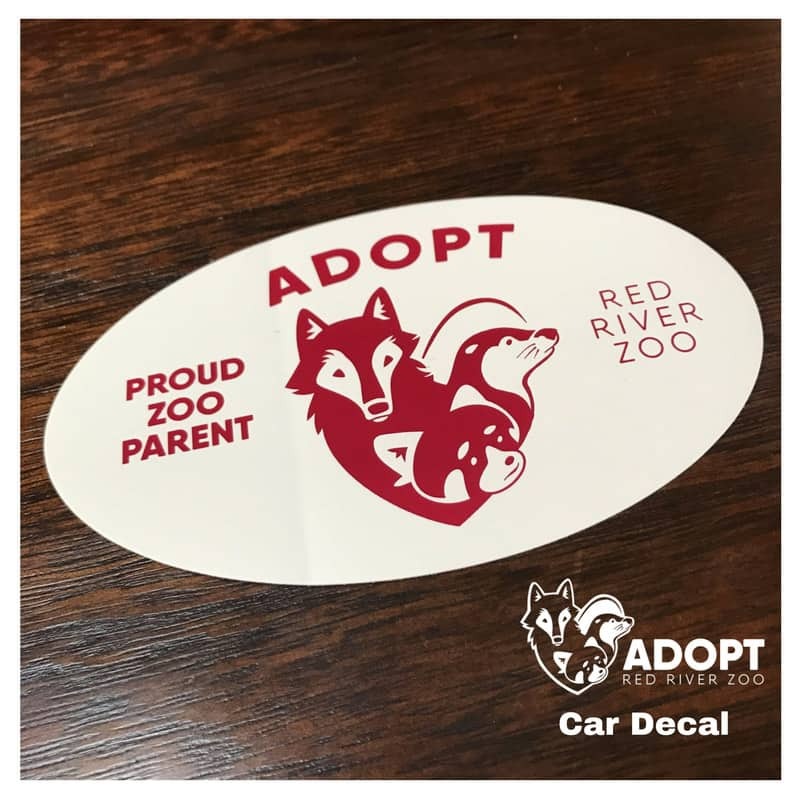 Show your support for your favorite animal at the Red River Zoo by purchasing an ADOPT package for yourself or as a gift for an animal lover in your life. By ADOPTing a Red River Zoo animal, you share your love for animals by helping ours receive the best possible care. Formerly known as Share the Care, we’ve totally revamped our ADOPT program. We have a wide range of ADOPT package levels, each of which comes with a variety of special incentives and rewards. Enjoy the knowledge that you’re helping to make a real difference at the Zoo! by one of our animals! and up to three of your friends! Can ADOPT packages be given as a gift? Yes! 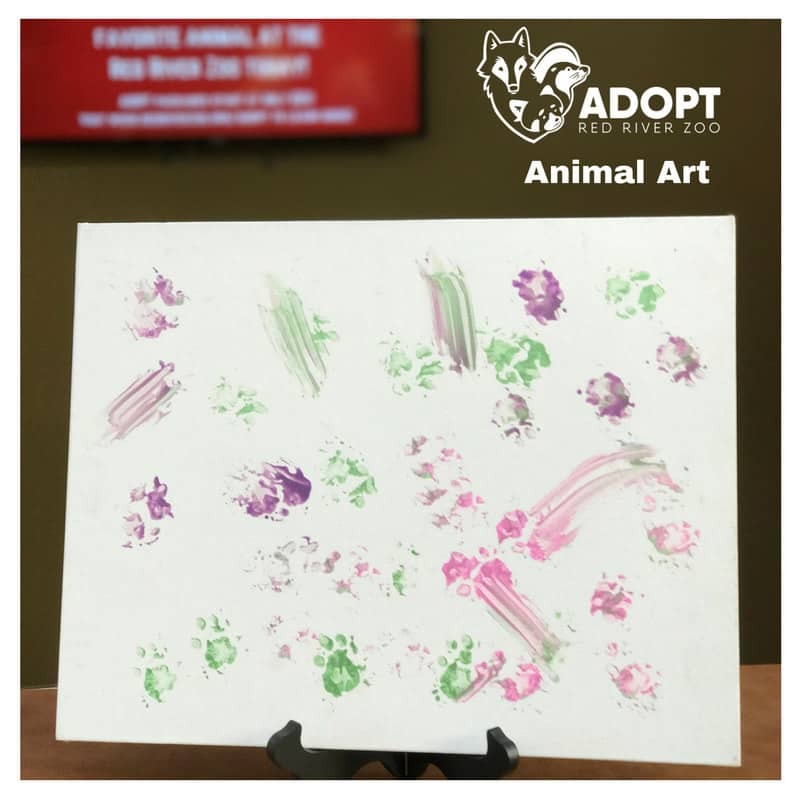 ADOPT packages make amazing gifts! We’ll even ship the package to the recipient if you’d like us to. When can I take my animal home? The animals at the Red River Zoo enjoy living right where they are. While they appreciate your ADOPTion, they’d prefer it if you just came to visit them periodically. Do I have to purchase my ADOPT package online? No. 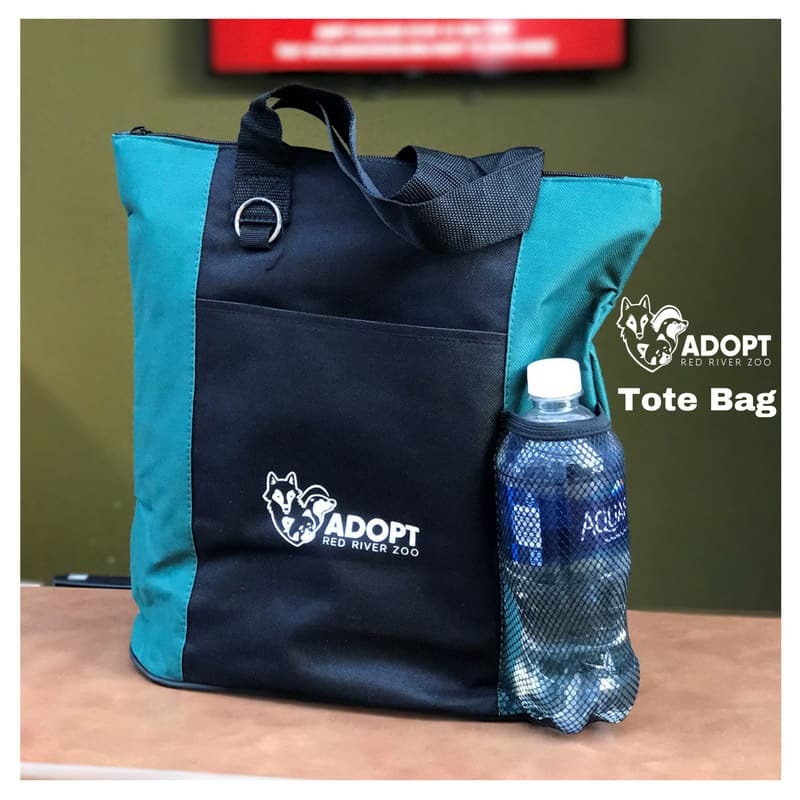 We’ve tried to streamline the online ordering process as much as is possible, but we understand if you’d prefer to stop by and order your ADOPT package in person. The Red River Zoo office & gift shop are generally open every day, even when the Zoo is closed. Stop by and we’d be happy to help you choose the perfect ADOPT package. 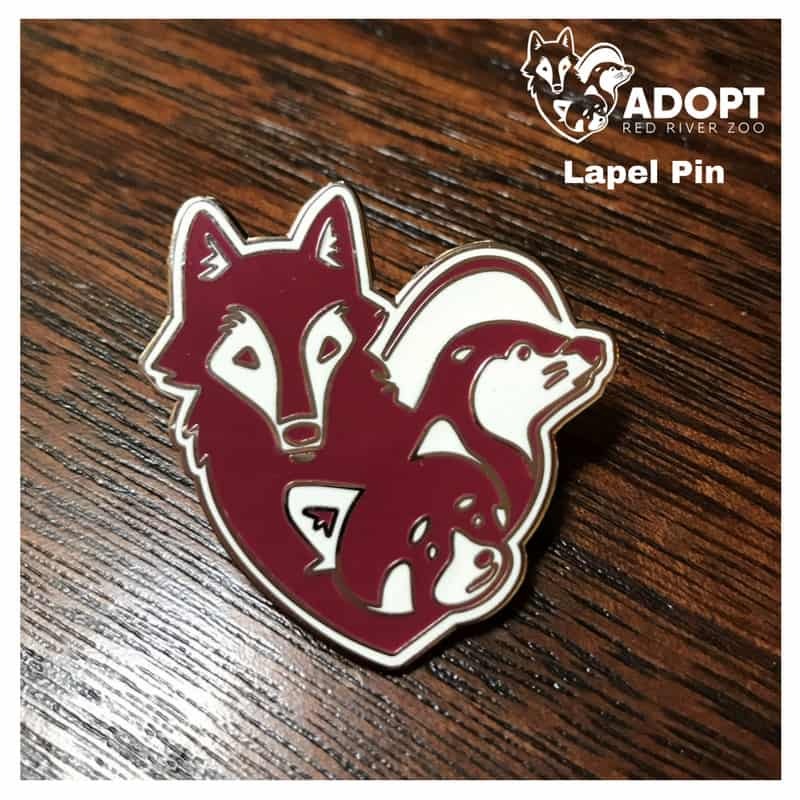 Can I just buy the ADOPT decal, pin or tote bag? We love our new decals, pins, and tote bags. And we’re certain you will, too. Unfortunately, these incentives are exclusive to their corresponding ADOPT package levels. Tell me more about the Animal Encounter. Animal encounters are a very special perk that we reserve for our highest level of ADOPT packages. 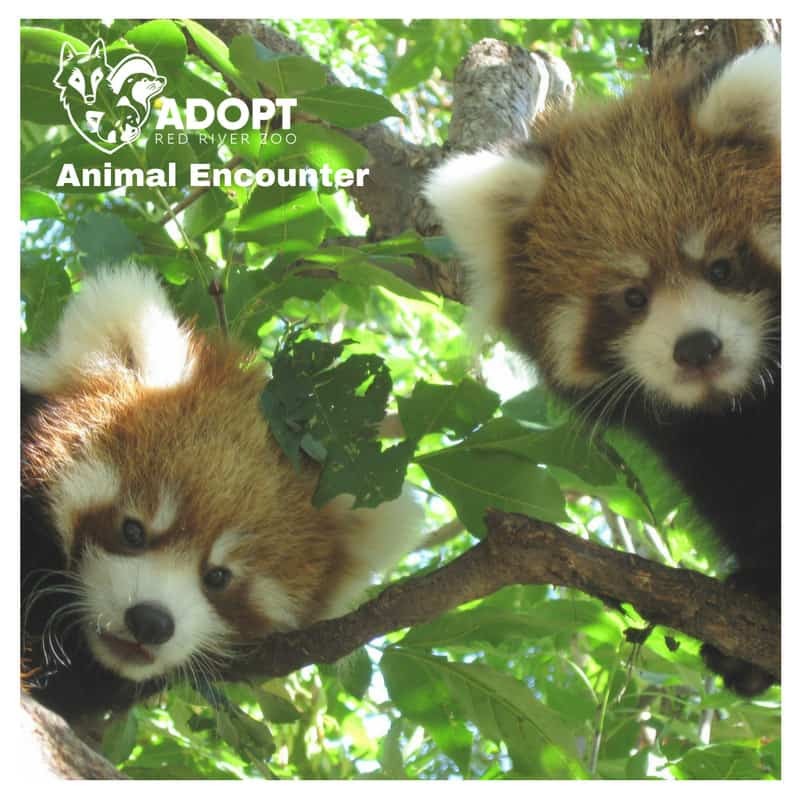 Chinese Red Panda – A special meet & greet encounter with our Zookeeper and Red Pandas. See the Red Pandas like you’ve never seen them before! North American River Otters – Behind the Scenes tour of the Otter holding area and a chance to observe operant conditioning (training) OR mid-day diet preparation and feeding. Grey Fox – Help prepare a special treat (enrichment) for the Fox and watch her enjoy it OR an operant conditioning (training) session demonstration. Grey Wolves – A behind the scenes tour and a chance to help create and distribute enrichment items for the wolves. Bald Eagle – Help prepare the Bald Eagle diet and observe a feeding. Deer – Participate in diet preparation for the deer and feed them up close. North American Porcupines – An amazing meet & greet encounter with one of our porcupines! Gypsy Vanner Horse – Meet Aragon up close and learn all about our Gypsy Vanner horse. Bactrian Camels – A special meet & greet session with our Bactrian Camels OR the opportunity to observe an operant conditioning (training) session with one of our Zookeepers. Sichuan Takin – You can assist with preparing the Takin diet and enrichment treats and observe them as they feast on your efforts OR the chance to observe operant conditioning (training) with our Zookeepers. Russian Red Tree Squirrels – Meet our squirrels up close via a meet & greet encounter. Pallas’ Cats – Assist with diet preparation for the Pallas’ Cats and observe their feeding. White-Naped Crane – Prepare enrichment treats for the cranes and watch them enjoy them. Two Toed Sloth – Help prepare the sloth diet and observe a feeding. Armadillo – Assist with diet preparation for our resident Armadillo, Rollo. ADOPT packages are valid for one year from date of purchase. Can I make my ADOPTion recurring? Yes! Just check the box on the purchase form and we’ll send you a renewal invoice each year. Can other people ADOPT the animal I've chosen? Caring for and supporting our animals here at the Red River Zoo is a communal effort. Accordingly, there is no limit to how many people can ADOPT an animal at the Zoo. If you have other questions about the ADOPT program, please call us at (701) 277-9240, ext. 311 or e-mail us. We’ll update the graph below to reflect all of the support each animal receives. Show your favorite animal some ADOPT love to boost its stats! The animals, Zookeepers, and staff at the Red River Zoo thank you for your support!